Follow the instructions below to send a Thru email using the Thru Add-In for Microsoft Outlook. 1. 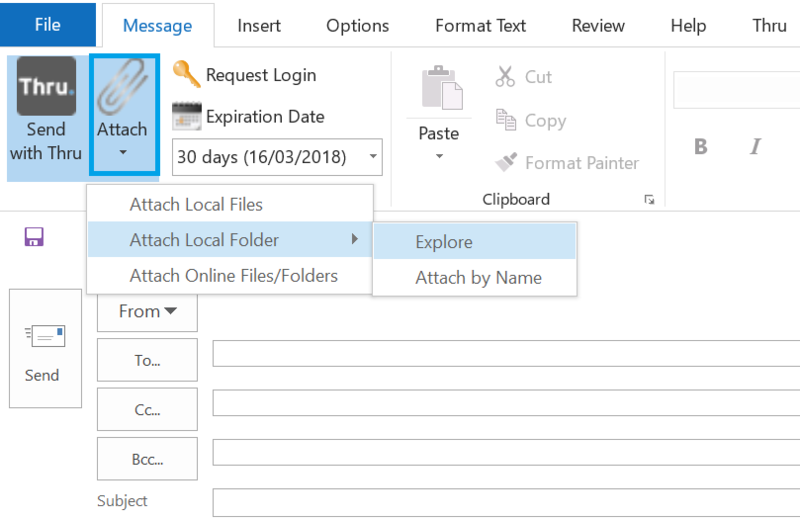 Click New Email in the Outlook toolbar. A new message window opens. 3. Click Attach on the toolbar to send local or online files/folders. a. Select the Thru tab, and then click Private Message. b. 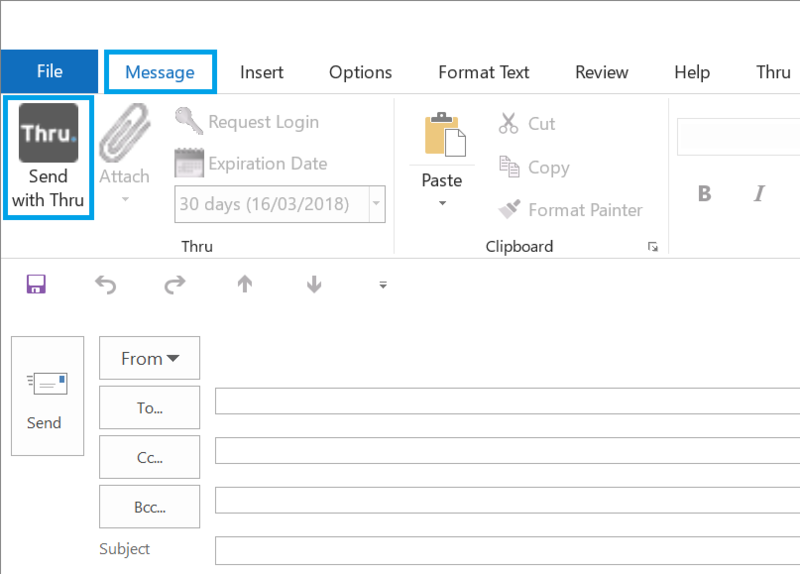 A message composition window opens where you can type in your private message. 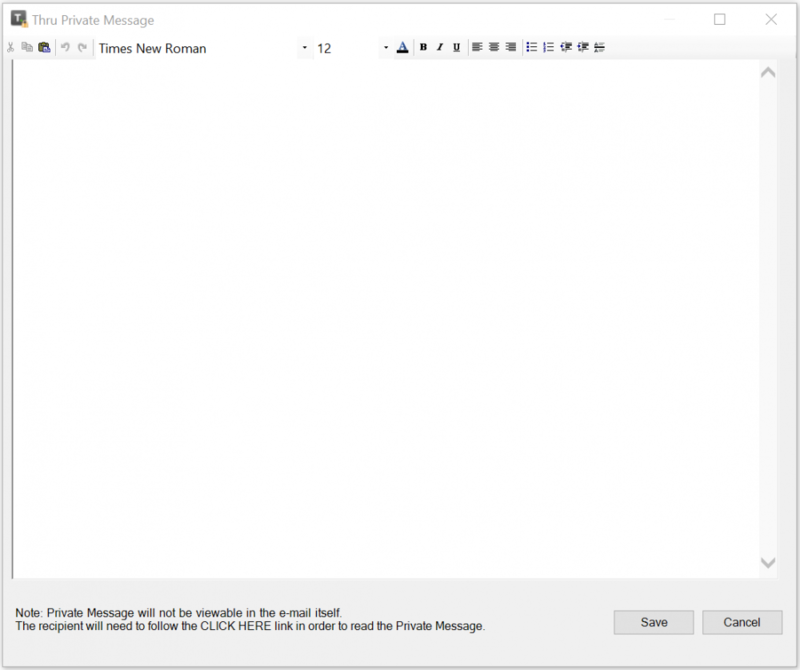 The message that you type into the Private Message window will not be displayed in the regular email window. Instead, your recipients will have to click on the “Click Here” link to see your private message. c. Type your message, and then click Save. Link Local Files: This will attach files from your local drive. Link Local Folders: This will attach folders from your local drive. b. Select the file you want to link to, and then click Open. 7. Type the recipient’s email address. Type an email in the Cc field to send a carbon copy of the email to a recipient. 8. Click Send to send your Thru email and any attached files or links. This will start the Transfer Manager, and will upload the files that you have attached. 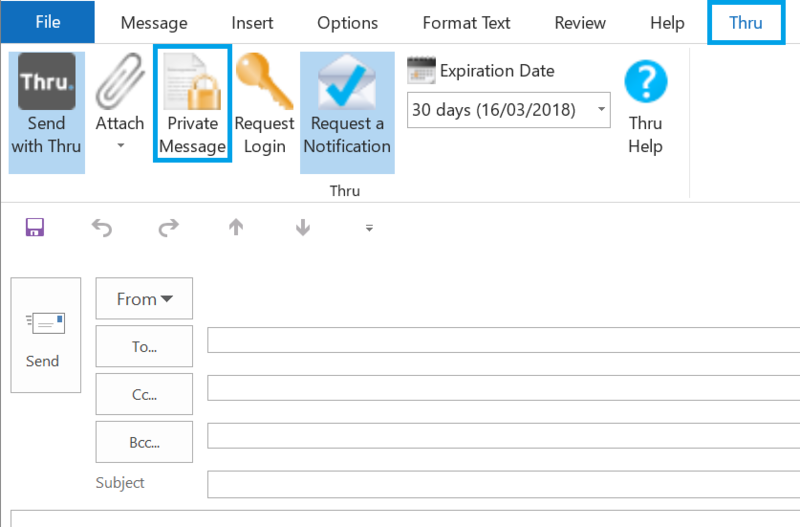 After this has been completed, the recipient will receive an email notification that a file or private message is waiting for them. Once they have read the private message or downloaded the file you have sent them, you will receive an email notification that the recipient has received your information.